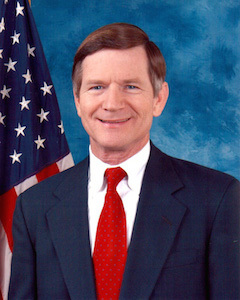 U.S. Rep. Lamar Smith (R-TX), chairman of the Science, Space and Technology Committee, sent a letter on Wednesday to Environmental Protection Agency (EPA) Administrator Gina McCarthy, questioning the agency's decision to block exploration and development of mineral deposits at Alaska’s Pebble Mine before any environmental reports or permit applications were submitted. The allegations arose after a report from former Secretary of Defense William Cohen that purportedly shows McLerran used an options paper to halt the mine and that he was influenced by outside groups opposed to its development. “The EPA should base its decisions on the best available science, not a pre-determined agenda,” Smith said. “The Science Committee will hold a hearing on Nov. 5 to hear directly from Secretary Cohen on his findings."